Experiments aboard the International Space Station will test a new method for dealing with space junk. An experiment aboard the International Space Station could help engineers figure out how to one day take out the accumulating amount of trash in orbit. 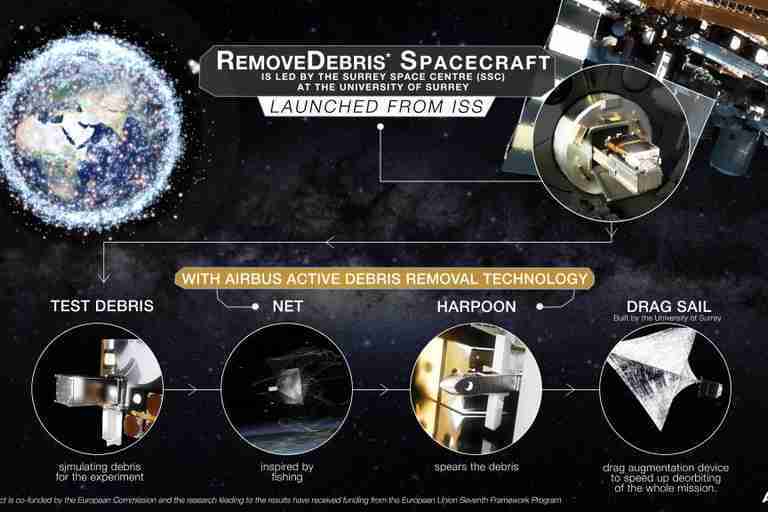 Engineers will perform exercises later this year in which they will use cameras and laser guidance to capture objects with a harpoon and net attached to a spacecraft, called RemoveDEBRIS. "Our experiments should start in September or October and they might last three or four months," principal investigator Guglielmo Aglietti told Seeker. Aglietti is director of the Surrey Space Center at the University of Surrey in the United Kingdom. The center is managing the mission and also constructed the microsatellites that RemoveDEBRIS will collect during the experiments. Aglietti said the timing of the experiments is highly dependent on sufficient illumination from the sun. Humans have been putting objects in orbit since 1957. That’s resulted in an estimated 500,000 pieces of debris circling Earth, including objects as large as dead satellites to ones as small as screws. Because orbiting debris travels at high speed, it often poses a serious threat to operations in space. In 2009, the defunct Russian satellite Cosmos-2251 smashed into the operational Iridium 33 satellite. And engineers periodically adjust the orbit of the International Space Station in order to dodge space debris. Scientists have proposed several ideas for dealing with inoperative satellites, including refueling them, deploying garbage collecting robots, or even enveloping space junk with ultrathin sheets of solar-powered material that will burn up on reentry into Earth's atmosphere. "We were searching for a test that was cost-effective," Aglietti said. "For example, you can fly to capture space debris using a robot arm. It's a good solution, but it is a more complex solution and more expensive." A consortium of European companies are involved in the $17.5 million project, including Airbus, which developed the harpoon and net technology, and Surrey Satellite Technology Ltd., which worked on the avionics. Half of the funding for the experiments was provided by private-sector companies, with the European Commission covering the rest. Aglietti said the mission is intended as a proof of concept. The hope is that the industrial partners can then carry the concept forward for their own operational missions that would remove real-life space debris. There's no expected launch date for future missions. 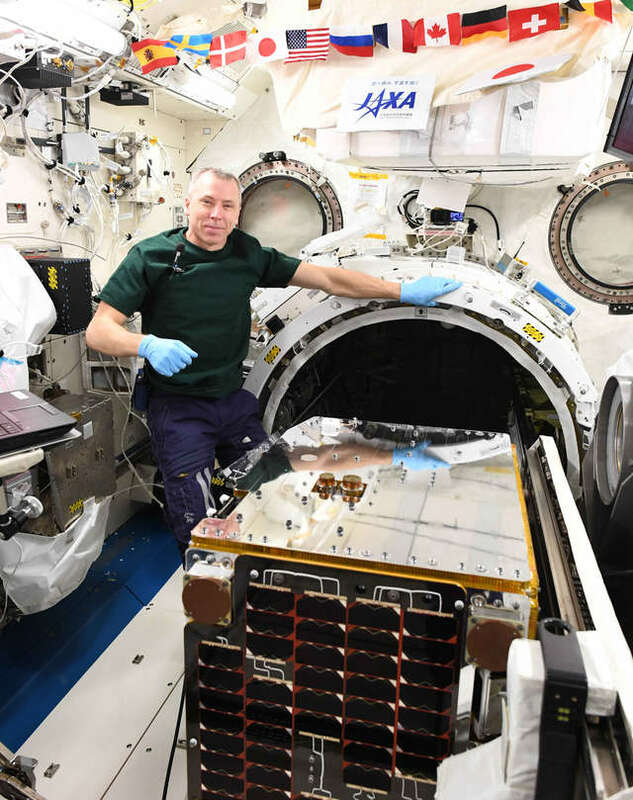 RemoveDEBRIS was delivered to the ISS aboard the SpaceX CRS-14 launch on April 2.